Insulating metal buildings are more challenging on the whole compared to other kinds of structures. This is because metal absorbs and conduct heat well. They are therefore more prone to the dangers of overheating and extreme temperature ﬂuctuations. In light of this, they require tougher and more effective pieces of materials. 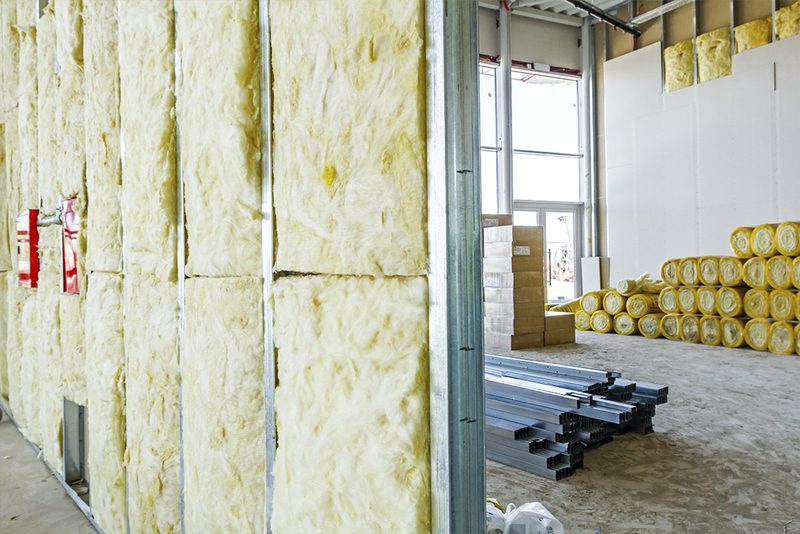 Some of the most common kinds of these materials are the ﬁberglass insulation, radiant barriers, spray foam insulation, and rigid foam insulation, among others. This kind of barrier is placed underneath the roof. It plays the role of blocking the radiant heat that originates from the roof. It also reduces the transfer of heat due to its poor conduction capability. This way, it keeps the rooms cooler than they would ordinarily be under normal circumstances. They come in various sizes, shapes, and forms. Some forms of these barriers may be wrapped around the materials they are intended to shield like the pipes and some furniture. Some are however large and rigid. They have to be permanently ﬁxed. Fiberglass is a highly versatile material that is used to insulate metallic structures and surfaces. The material is made of recycled glass and molten sand among a host of other materials. It is ﬂexible, resistant to combustion, and is thus pretty convenient to use. Due to this composition and materials makeup, ﬁberglass is pretty good for insulating metal structures. The ease of installation further makes it handy for us as it calls for minimal effort on the part of the contractor. Rigid foam insulation is an innovative material that is used for building and construction. It signiﬁcantly reduces the energy use and needs of a building. It also helps to control and stabilize the indoor temperatures. Its main strength lies in its ability to seal gaps, cracks, holes, and air leaks. Being rigid, they are difﬁcult to work. They thus require a great deal of technical expertise and effort. They, however, last longer than most other materials and are thus cost-effective. The material is thus crucial for constituting a permanent part and parcel of a building structure. Unlike the other forms of insulation materials, spray form is not available in a material and tangible form. Instead, it exists in the form of a spray. It is created by using two materials. These are the polyol resin and the isocyanate respectively. These two materials react whenever they are mixed. They thereafter enlarge up to 30-60 times their original liquid volume after they are sprayed on the surface. The material gives rise to a high thermal insulating value by leaving behind no possible air inﬁltration. The R-value refers to the resistance of an insulating material to the conduction of heat. It is measured in terms of the thermal resistance. There is a direct correlation between this value and the energy efﬁciency of an insulating material. A higher value infers higher energy efﬁciency levels and vice versa. Spray foam has the highest R-value of all the materials discussed. Apart from being pretty good at insulating surfaces, this material is also a Class 1 rated insulation material. This has the accompanying beneﬁts of higher returns on investments as well. The safety of your building will, therefore, be elevated as the result of incorporating this material. Owing to its ability to absorb the sound waves, the material also proofs building of sound pollution. It absorbs the sound waves and blocks the ambient sound from percolating into the interior of the rooms’ altogether. This has the attendant impact of keeping the rooms’ super quiet than would ordinarily be the case. This is the material to choose if you want to insulate your theater or production facilities. As has already been hinted, the material hardens whenever it is sprayed on surfaces. This hardening makes it impossible for moisture to percolate into the buildings or other structures on which it is sprayed. This trait of blocking moisture comes along with several beneﬁts. It prevents or slows down condensation. It also prevents any leaks that might give room for the inﬂow of raindrops and moisture. This is great especially in areas that experience higher levels of precipitation. Unlike all the other kinds of materials already mentioned,spray foam insulation requires skilled and trained installers. You just can’t spray it, and that is it! It takes special skills and knowledge to install spray foam insulation. 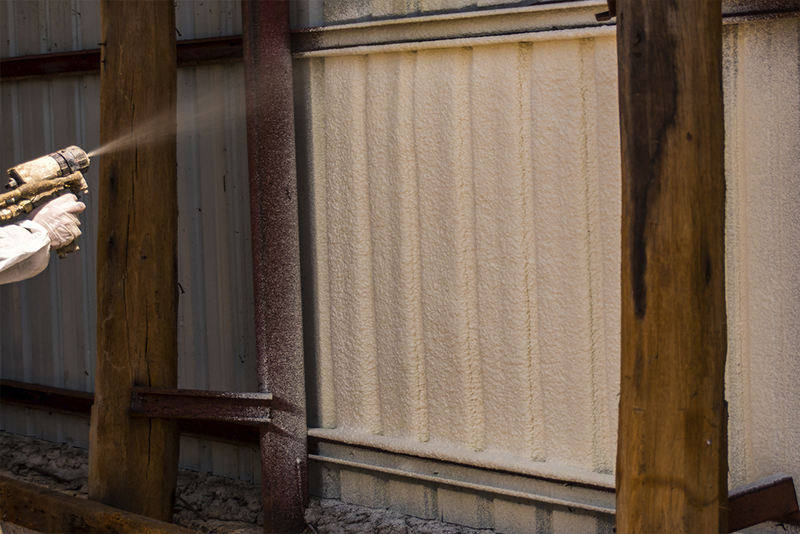 Affordable Insulation has trained installers on all types of spray foam insulation. We pride ourselves in the fact the we install spray foam insulation correctly. This insulation is more dense than open cell foam and in Oklahoma is less common type of polyurethane spray foam. It has a higher R-value than open cell spray foam. This value is around 7 per inch. It features better insulation due to its higher resistance levels. It is also on the whole pretty resistant to the penetration and the degradation of water. For this reason, it is less likely to attract or encourage the growth of bacteria and mold that do eat away wood and interfere with the integrity of the structure as a whole. Open cell foam in the most common type in Oklahoma. Open Cell does prevent drafts and regulate temperatures greatly. This density also prevents the possible growths of mold given that temperature controls have the ability to curtail humidity, which broods mold. Open cell foam is secure once applied to a substraight but does need protected by sheetrock or metal on the walls that are within reach. The R- value lies in the range of 3.6 to 3.8 per inch range. This translates to a lower heat resistance level but greater air infiltration qualities than other insulations.